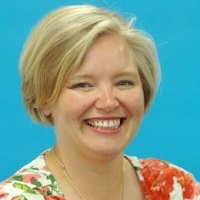 Julie joined City University London as a Senior Lecturer in Education Development in 2008. In this role she led and developed mentorship provision; developing new modules and more flexible approaches to achieving this award for working nurses and midwives. Although Julie still actively contributes to these modules, her role has taken her into a different direction, and she has taken a number of Programme Leaderships in the School of Health, whilst contributing to both the pre- and post-registration nursing curriculum. Prior to her move into Higher Education, Julie had a successful cancer nursing career at the Royal Marsden Hospital and Institute of Cancer research where she worked as a Lecturer-Practitioner and member of the senior nursing team. Julie completed her doctorate in Education (EdD) in 2012, which focused on the learning needs of registered nurses undertaking their mentorship award. - 2008 Seedcorn Grant: Developing online learning materials, CETL (Centre of Excellence for Teaching and Learning) City University and Queen Mary's University. - 2012-3 Learning Development Fellowship: Assessment and Feedback, LEaD, City University London. Julie is currently a link lecturer for Barts Health NHS Trust, and is based at Newham Univeristy Hospital for this activity. Julie is involved in a cross-university project as part of her Learning and Development Associate Fellowship. This aims to explore the experiences of first year students of assessment and feedback. Her EdD thesis was entitled "Inside Mentoring Relationships: Influences and impacts on mentorship learning for acute care nurses in the NHS''. This combined social network analysis with documentary analysis and in-depth interviewing to gain a picture of the relationships supporting mentor development within two NHS Trusts. MacLaren, J. (2006). Nursing Patients With Cancer. In Kearney, N. and Richardson, A. (Eds. ), Nursing Patients With Cancer Churchill Livingstone. ISBN 978-0-443-07288-8. MacLaren, J.A. (2018). Supporting nurse mentor development: An exploration of developmental constellations in nursing mentorship practice. Nurse Education in Practice, 28, pp. 66–75. doi:10.1016/j.nepr.2017.09.014 . MacLaren, J.A. (2014). Developing Developing Assessment at City: A Review of Learning Development Associate Projects 2010-12 at City. Learning at City Journal, 4(1), pp. 14–26. Gothard, L., Stanton, A., MacLaren, J., Lawrence, D., Hall, E., Mortimer, P. … Yarnold, J. (2004). Non-randomised phase II trial of hyperbaric oxygen therapy in patients with chronic arm lymphoedema and tissue fibrosis after radiotherapy for early breast cancer. Radiotherapy and Oncology, 70(3), pp. 217–224. Gothard, L., Cornes, P., Earl, J., MacLaren, J., Mortimer, P., Peacock, J. … Yarnold, J. (2004). Double-blind placebo-controlled randomised trial of vitamin E and pentoxifylline in patients with chronic arm lymphoedema and fibrosis after surgery and radiotherapy for breast cancer. Radiotherapy and Oncology, 73(2), pp. 133–139. MacLaren, J.-.A. (2003). Models of lymphoedema service provision across Europe: sharing good practice. Int J Palliat Nurs, 9(12), pp. 538–543. doi:10.12968/ijpn.2003.9.12.11990 . MacLaren, J.-.A., Woods, M., Smith, J., Gilbert, J., Dlomo, C. and Villar-Hauser, L. (2002). Reflecting on your expert practice. Nurs Times, 98(9), pp. 38–39. MacLaren, J.A. (2001). Lymphoedema. Prof Nurse, 17(2), pp. 93–94. MacLaren, J.A. (2001). Skin changes in lymphoedema: pathophysiology and management options. Int J Palliat Nurs, 7(8), pp. 381–388. doi:10.12968/ijpn.2001.7.8.9009 . MacLaren, J.A. (1996). Rehabilitation through advocacy and empowerment. International Journal of Therapy and Rehabilitation, 3(9), pp. 492–497. doi:10.12968/bjtr.1996.3.9.14774 . Speech and Language Therapy Conference. City University London (2011).